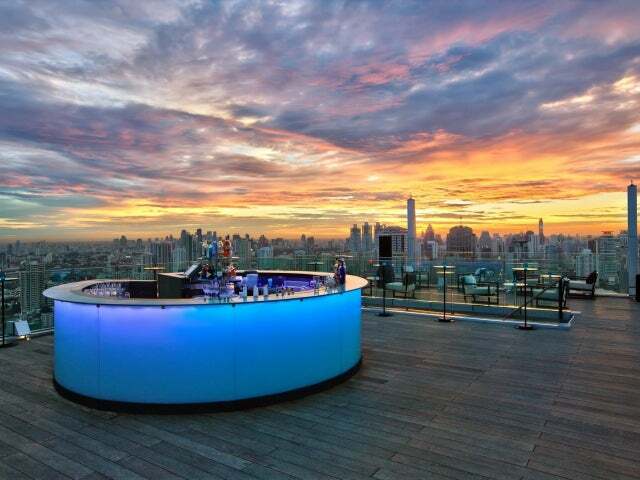 The most impressive rooftop bar in Bangkok, and the only panoramic 360-degree view point bar, the Octave Marriott compares to none. 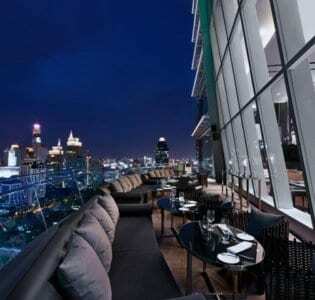 Perched on the Marriot hotel Sukhumvit’s 45th floor, the bar has a three floor view over the entire city skyline. 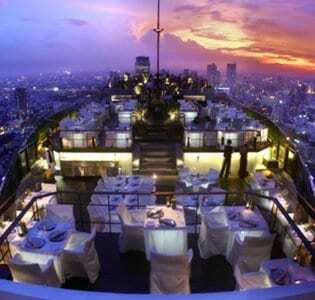 There is nowhere else in Bangkok that matches this new-age bar, with the third floor of the bar the highest in the city to party. Octave have made sure that there is plenty of seated spaces as well as standing, so that you can relax above the crowded streets below. Split into three levels, the DJ plays chilled out tunes at the lounge bar on the 45th floor, which is perfect for a relaxed dinner and cocktails, surrounded by chunky wooden furniture, big bucket chairs and neon blue lights. One floor up, you have the balcony bar which is also rather chilled and gives you the eye level view all the way to the docks, perfect for pictures. With a reinforced sheet glass between you and the sky it is the ideal place if you’re not ready for the buzzing party upstairs. But if you are; the third floor is where it all happens, with loud mixes of music by live DJ’s and ‘James bond’ style cocktails, you don’t want to miss out on this experience. The mixologists on each level are able to concoct a unique and zesty blend of drinks. We highly recommend the ‘Bangkok 57’ which is a blend saffron, vodka, red fruit and elderflower. 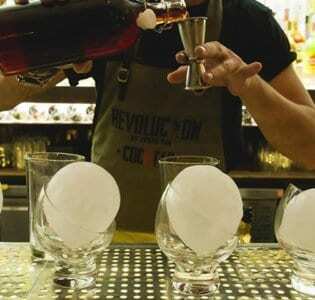 There is also an extensive ‘mocktail’ menu which means that everyone can have fun. At the lounge bar you can opt for a full meal or get some quick bites like some peppered calamari. With the Thonglor Skytrain just a three minute walk-away, it is an easy accessible bar just off the tourist stretch.